It's 2018, and Senators are using Nazi phrases in Parliament. Step forward and collect your prize, Fraser Anning! 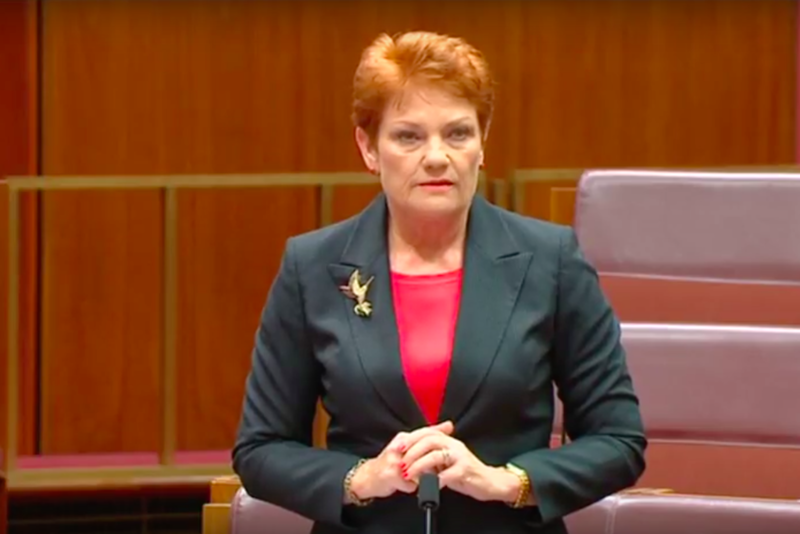 In an extremely competitive field, you’ve managed to make your way through the pack to take the lead as Australia’s absolute shittiest Senator by calling for a “final solution” to Australia’s immigration problem in your maiden speech to Parliament. The final solution was the phrase used in Nazi Germany to describe plans for the systematic murder of all Jewish people. For decades, that specific phrase has carried with it overtones of genocide and mass murder. You may remember Anning as the guy who replaced One Nation’s Malcolm Roberts when Roberts was tossed out of the Senate under Section 44 of the Constitution. As soon as he was sworn in, Anning left One Nation after a falling out with Pauline Hanson. After some soulless searching, Anning decided to join Katter’s Australia Party, which is somehow only the third worst party in Parliament (One Nation and Cory Bernardi’s Conservatives occupy spots one and two respectively). Despite being a senator for months, Anning was only able to give his maiden speech on Tuesday evening, and boy, did he go for it. Anning Are You Ok, Are You Ok Anning? Anning praised the White Australia policy, which allowed for only white European migration to Australia and stood into the 1960s. Anning praised the “pre-Whitlam consensus of bipartisan support from both Liberal and Labor for a European-based immigration program,” before saying that Gough Whitlam “and his hard-left cronies adopted Soviet-inspired United Nations treaties on discrimination and banned preferential selection of migrants based on their ethnicity”. 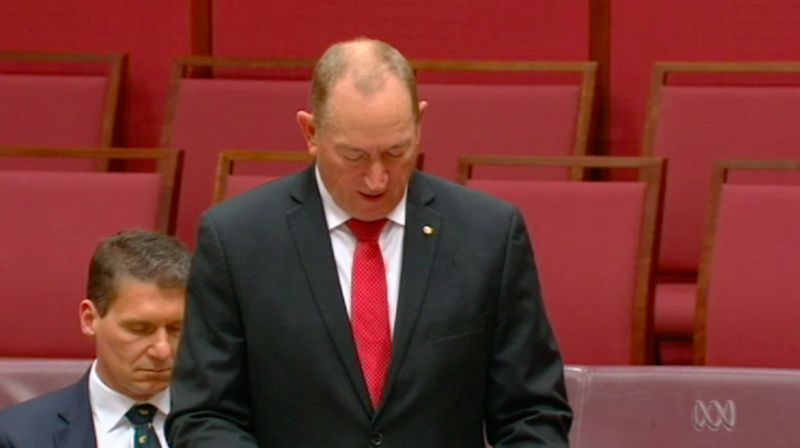 Anning then called for a national plebiscite on immigration, calling it a “final solution” to Australia’s immigration problems, which only really exist in his head. The use of the Nazi-inspired phrase was quickly condemned inside and outside Parliament. Labor leader in the house Tony Burke gave a powerful speech condemning Anning. Greens leader Richard Di Natale also condemned the speech. “Referring to immigrants, particularly Muslim immigrants, with the same language that the Nazis used to discuss the extermination of Europe’s Jews during the Holocaust is vile, racist, bigoted, and has no place in out society, let alone our Parliament,” Dr Di Natale said. The comments were condemned by Liberal MPs, including the PM, although not quite as strongly as Labor and Greens MPs had. Fraser Anning’s comments on immigration do not reflect the views of the Government nor the views of fair minded Australians. We will always maintain a non-discriminatory immigration program. Following the uproar over his speech, Anning denied there had been any Nazi connotations to his choice of words, saying the word “final” could easily have been replace by the word “ultimate”, which is kind of missing the point.